Whether you’re a gamer, dancer or a perhaps some combination of both, the recent announcement by Epic Games will have you dancing for joy. Epic games is holding a Boogie down contest for Fortnite: Battle Royale, a popular video game. The last person standing will get their dance featured in Battle Royale as an emote. With a wide-ranging player base, the free-to-play Fortnite: Battle Royale has become so widely popular that some of its top players such as Tyler “Ninja” Blevins reach hundreds of thousands of real time views while teaming up to play with music stars like Drake, Travis Scott and JuJu Smith-Schuster of the Pittsburg Steelers. The frenzy grows larger as professional athletes (especially from Major League Baseball) are constantly seen imitating the game’s sometimes silly dance moves on the field and in their day to day life. Just imagine seeing a top pro-athlete performing your dance and making it go viral! This could be a reality in a matter of months. Your character, your very creation could be immortalized in a popular video game. All you need to do is film yourself or a group performing an original dance, then post your video on Facebook, Twitter or Instagram with the #boogiedown. The other important requirements are that contestants upload only one dance or gesture that would make a great game emote, and that the dance “fit the playful personality of Fortnite,” according to promoters. Each submission will be judged on originality, creativity and how fun it is. 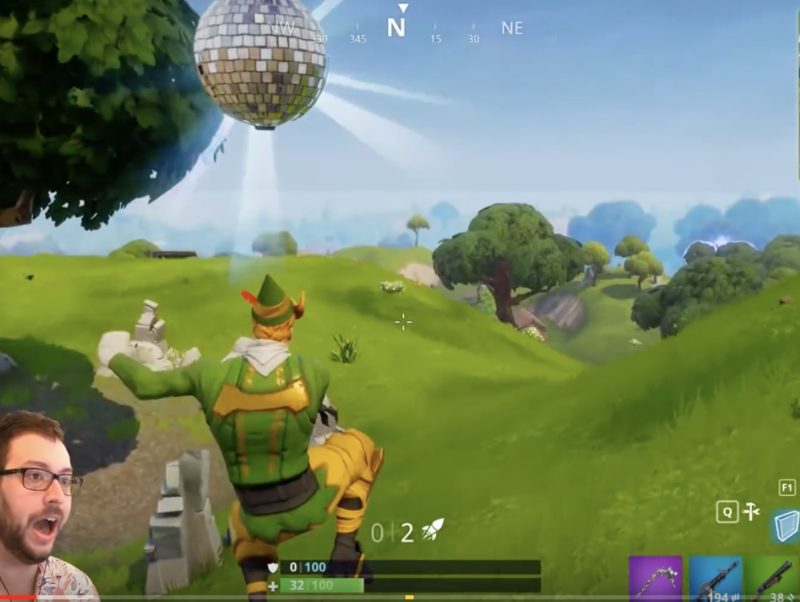 While the contest is only open to adults, dances are expected to be family friendly and for all ages, as Fortnite is just as big with kids. So big that it has become the subject of discussion in some classrooms across the country. The grand prize winner will have their dance featured in Battle Royale as an emote, along with 10,000 V-Bucks, disco-themed cosmetics, and an exclusive “IRL” Boogie Bomb. With 100 winners to be chosen, there are plenty of prizes to go around. While just one winner will have their boogie added to the actual game, 100 participants will receive an assortment of prizes, with the top five earning a special, rare treat. Further details for prizes and rules can be viewed on Epic Games’ website. Submissions are open now through April 10, 2018. Fornite can be played on various devices, has its update v3.4 is out now on PC, Xbox One, Playstation 4 and compatible mobile devices. See epic games contest rules for more details.